For some of the best karate NY has to offer, check out Fun New York's guide to martial arts classes in NY! 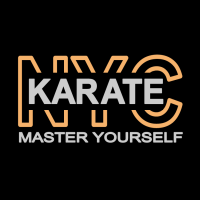 Sign up for some of the most intense, yet enjoyable karate classes in NY where you'll learn everything you need to know about the discipline. Empowering Karate Classes for All Ages! 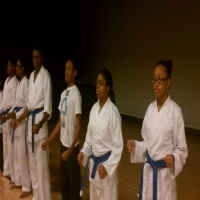 A nonprofit organization that offers some of the best karate classes in NY, The Society for Martial Arts Instruction (SFMAI) is committed to empowering people of all ages through the knowledge and practice of martial arts. 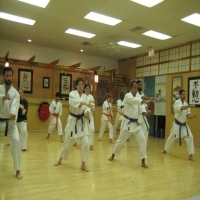 In addition to karate, the venue offers classes in Hiko Ryu Taijutsu, preventative self-defense, and Muay Thai Boran. SFMAI teaches Karate-Do Kenwaken, a unique combination of traditional Japanese karate and modern western somatic movement science. If you are interested in signing up for a class, you simply need to fill out the contact form on the website and a representative will get back to you shortly! Learn The Discipline Of Seido Karate! Seido karate is a traditional Japanese form of Martial arts which aims not just to develop the individual physically but the mental aspect as well, in order to create a complete and balance well-being. 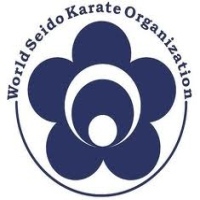 Here at World Seido Karate, you will be trained in the art of Seido karate, you will undergo intense training in order for you to learn the discipline and the techniques of Seido Karate. World Seido Karate is the place to be here in New York where you will learn from the masters of the discipline. Enroll now and learn Karate only here at World Seido Karate. Master The Art Of Karate At NYC Shotokan Karate Dojo! Karate is a form of martial arts in which you will have to punch, kick, grab, elbow strike and knee strike. It is a form of self-defense where you can utilize all the muscle groups in order to fight or fend off potential threats. 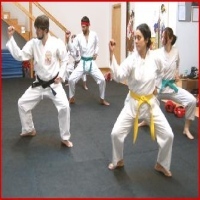 NYC Shotokan Karate Dojo is a place here in New York where you will learn and master the art of karate, you will experience for yourself the intense training and hard labor in order for you to develop your skills. Learn the techniques of karate and appreciate its ways. 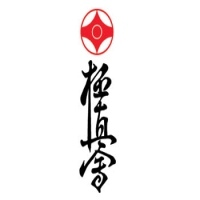 To learn more about NYC Shotokan Karate Dojo visit their website today or contact them at their hotline number. Be A Pro In Karate! There is a great place here in New York where you can learn and hone your skills in karate, a place where you are trained only by the best. Ueshiro Midtown Karate offers to you an intense karate training in which you will learn the right ways of karate. The dojo is complete with all the facilities and equipment, making your training here at Ueshiro Midtown a fun and great experience. Learn only from the masters of karate, let them teach you the ways of becoming a fighter. Come to Ueshiro Midtown Karate Dojo and learn karate. Learn Traditional Karate At Empty Cup Karate! Empty Cup Karate offers to teach you the ways and the techniques in martial arts, they train you to have the confidence and patience in order to persevere. Empty Cup Karate has a skilled instructor, where he has been studying martial arts for 20 years. Sensei Matt Stanley offers to train you to become the best of what you can become, he will mold you to become a great fighter. So do not delay and enroll today at Empty Cup Karate, learn the fundamentals of karate and appreciate its art. Be Trained By The Experts In Karate Here in New York! New York Karate and Kickboxing is a great place to be where it has a complete facility and equipment making your training here a great learning experience. You will be trained to be confident and to be disciplined for you to improve your coordination, flexibility and focus. Each session of training brings to you a new learning experience in which you will improve your skills in the martial arts. Make New York Karate and Kickboxing your choice in learning karate, they will make sure that you will learn only the best techniques in karate. Learn Karate From Sensei Shihan Kai Leung! An expert in the art of martial arts, Sensei Shihan Kai Leung has been teaching the art of Shotokan style of karate for about 40 years. 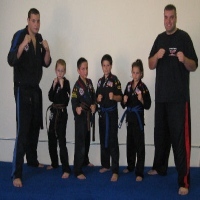 His teaching methods utilize rigorous and intensive training in order to have the discipline and the patience in learning martial arts. Here at Sensei Shihan Kai Leung dojo you will learn the basics and work your way to mastering the skills and techniques. So come to New York's Kai Leung's Shotojuku Karate Dojo where the training is intense and all the hard work is very rewarding. Be Trained In The Art Of Kyokushin Kaikan! A form of Martial Arts Kyokushin kaikan is a style of full contact karate founded in 1964 by Masutatsu Oyama. Kyokushin Karate is a place here in New York that offers the same karate technique, it offers to train kids and adults whether they are beginners or already have experience in it. The dojo will aim to improve and train students to become skilled and a master in the art. Kyokushin Karate is open to everyone who wants to learn martial arts. Enroll now at Kyokushin Karate. For more information please visit the website to send them an email or contact them at their hotline. 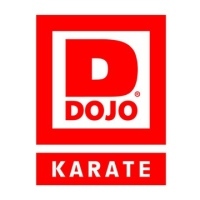 D-Dojo Karate, A Place For Intense And Exciting Karate! Learn karate here at D-Dojo Karate where it is a perfect place for kids and adults to have fun and to live a healthy lifestyle. It is a place where individuals will gain the self-confidence and discipline in order to master the martial arts. D-Dojo Karate is open to everyone who wishes to learn the skills and techniques to become a fighter and to be disciplined. Come to New York's D-Dojo Karate and learn the techniques of being a great martial artist and be a good fighter yourself. Karate Is More Fun At GenjoKoan Karate Organization! Learn traditional karate from the masters themselves and become a better fighter. 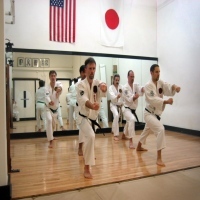 GenjoKoan Karate Organization is a karate school here in New York, complete with all the equipment and a state of the art facility, making learning here better and convenient. Each session offers to the students new learning and a great experience to further improve their skills and help them in mastering the techniques. So look no further and come to the best karate school in the city, come to GenjoKoan Karate Organization where the training is complete and intensive. Learn The Discipline Of Karate! Fun place for kids and adults to learn self-defense and a way of keeping themselves healthy and strong, Traditional Okinawan Karate offers to teach the basics of karate and help them to be disciplined in order for them to become a better individual and have the self-confidence they need to face the world. 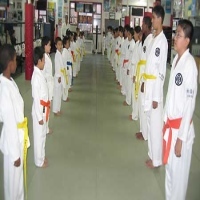 The place is no ordinary karate school, Traditional Okinawan Karate offers to impart the students with values and good behavior and at the same time teach them to fight and defend themselves. So enroll your children or yourself here at Traditional Okinawan Karate, you will be sure that there will be a positive result at the end of the program.